Order your ammo right here at The Guide ONLINE today! 15-Pk. 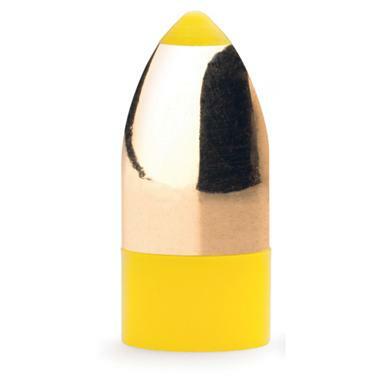 CVA Powerbelt .45 caliber 225 grain Aero-Tip Copper Series Black Powder Bullets is rated 4.0 out of 5 by 2. Rated 5 out of 5 by DeerHunter from They do the job These Powerbelt bullets work perfectly and have great stopping power. I harvested two deer with them this season and neither deer ran more than 50 yards. Rated 3 out of 5 by KURT from Haven't used these yet, Deer season's finished. These are for next year. But I killed a ten pointer that field dressed 147 lbs. with a Powerbelt this year. 60 yards and down. Recovered the spent bullet that had gone through ribs on each side and had maybe 90% weight retention.